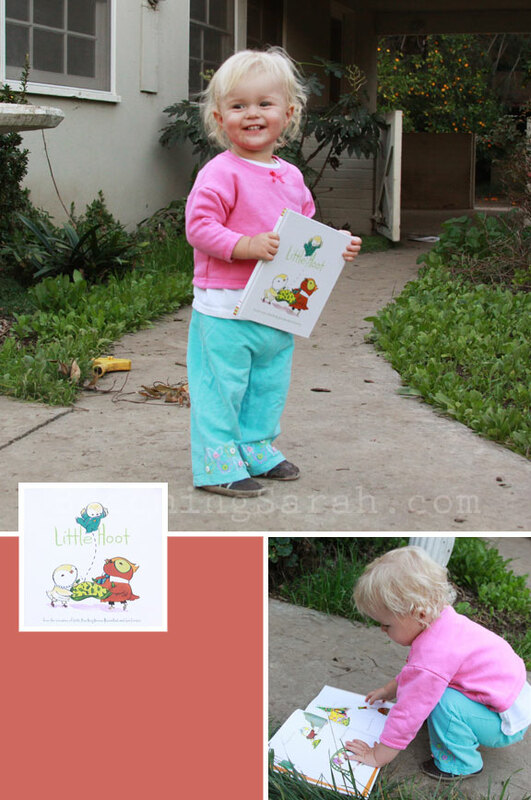 Children’s Book Giveaway: Little Hoot. Okay, okay, so this is a day late, I KNOW, but in my defense…I completely forgot that it was Tuesday yesterday. Usually it takes me until at least Thursday to lose track of the days, but apparently this week I am quite the overachiever. At least where brain malfunction is involved. At any rate, after I featured Bedtime for Mommy, authored by Amy Rosenthal, several readers suggested that I check out another of Rosenthal’s books entitled Little Hoot. And I am very glad I did because it turns out that Little Hoot is hilarious. In all honesty, it’s much better than Bedtime for Mommy. The illustrations are more enjoyable, the characters more lovable, and the premise more outlandish. I’m not kidding about the illustrations, by the way. Illustrator Jen Corace created the sweetest little owl family. One day, hopefully sometime BEFORE she goes off to college, Charlotte will probably move into a room of her own. And when she does, the very last page of Little Hoot is going to be framed in that room. THAT is how much I love the illustrations. Just as in Bedtime for Mommy, Rosenthal turns the idea of bedtime on its head in Little Hoot. 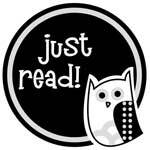 In this story, an owlet has parents who force him to stay up late and play. All the while, he is jealous of his friends whose parents let them sleep and he complains to his own parents about his plight. When he is FINALLY allowed to go to bed, Little Hoot falls fast asleep. Pros: It sounds simple, but it’s an adorable book. You really can’t help but love it, and young children get a big kick out of the idea that the owlet WANTS to go to bed early too. Moreover, it’s a fun way to say good-night to your own little hoot. Borrow or Buy: Buy. Definitely one of the best bedtime books around! What to do: You can enter this giveaway by leaving a comment below or sending me an e-mail answering this: what is your bedtime routine? All you need is an e-mail address. The giveaway ends Sunday evening at 9 P.M. Pacific Time. You can leave one entry every day, for a total of up to six entries. To purchase this book: You can buy Little Hoot through Amazon.com (that link uses my affiliate code) or locate a local retailer through Indie Bound.org. I’m not actually commenting to enter the book giveaway, but to second the awesomeness of this book. I LOVE “Little Hoot.“ My mom got my son a set of three board books in this series: Little Hoot, LIttle Pea, and Little Oink - all adorable, but Little Hoot is my favorite!!!! I haven’t entered a book giveaway since I won your first one! But I love this book and bought it for our niece a few years ago. I’d love to have a copy of our own! Our bedtime routine is very simple. Most nights, Annika has a bath, then we let her run around naked for a few minutes. Then PJs, brushing her teeth, bedtime story and then bed. Our bedtime routine consists of pj’s, sippy cup, turning the light off, turning the mobile music on, turning the turtle nightlight on and snuggling/nursing for a few minutes. i’m so obsessed with owls! i’d love to read this book! our bedtime routine involves putting on pajamas, going home (we are always at grandmas for dinner), going potty, turning on nightlights / heater / humidifier, and then nursing. Jammies, brush teeth, turn off bedroom light, turn on night light, close blinds and say goodnight to the neighborhood, give Daddy kisses, read 3 stories with Mama and sip on water, snuggle for a minute, then into her crib she goes. I let her pick one book to bring into bed with her, tuck her in, turn on her lullaby-singing lamb, and close door. After dinner we settle into me and my husband’s bed to read a handful of stories to Matthew and his new baby sister. Since Matthew is on the cusp of learning to read himself, he pretends to read a book to his little sister while she finishes nursing. Then we brush teeth, put him on the potty, snuggle Matthew in his big boy bed, turn on his lullaby music and we all recite bedtime prayers together. Right now, Jack’s bedtime routine consists of a bottle, some snuggling, then we lay him down in his crib and turn on his seahorse. He usually talks/sings himself to sleep after that. Sounds like a cute book. Our Charlotte sleeps great at night, but during the day it’s a different story. She will maybe take a 30 minute nap here and there and then she goes full force until bedtime. At night, we take a bath if needed, put on our jammies and smother her in kisses. We take the dog out, tell the fish goodnight, turn off all the lights and head to the bedroom. We are a cosleeping family, so I usually nurse in bed and then we snuggle together and drift off to sleep. Our bedtime routine starts at 6:30pm when we ask James if he’s tired and wants to go to bed. 99% of the time he starts pulling his hair (#1 sign of being tired) and walks to the stairs. We take down the gate, he climbs the stairs and walks into his room. I put him in his crib while I get his sponge bath ready, then I read about 5 or 6 books with him. I give him his sponge bath, get him into his pjs and hand him over to Daddy for his late night bottle. After his bottle Daddy brushes his teeth, puts him down in his sleep sac, gives him his soother, turns on the rain music (on repeat), turns on the humidifier and turns off the light. Works like a charm. I’m dreading the day we get rid of his nighttime bottle (which is soon). We used to have a great bedtime routine…until we moved our son to his big boy bed. Now he pushes his usual 8pm bedtime to 9 or even 10 some nights. And…he now needs mommy or daddy to lay down with him. My Charlotte gets her blanket (nigh-nigh) and her llama doll (mama) and we rock & nurse in the rocking chair. Daddy reads her “Kiss Goodnight” and then gives her some good night kisses (once and twice and then twice more, just like in the book). Then he leaves and I recite “The Cat in the Hat” and then a few minutes later she is sleepy enough to get in bed. Bedtimes are starting to normalize now - usually one of us takes the twins, and the other, our older daughter, up to get on PJs. Then all the kids pile on the loveseat in the twins’ room for stories (and they try not to fight… haha!) Then the babies get a rock and cuddle with one parent while the 3 year old brushes teeth, snuggles into bed with her books, flashlight and music, and we kiss and hug goodnight. And then the ‘outta beds’ go on for an hour or so… But its wonderful chaos! Our bedtime routine starts with a 5 minute warning & usually a timer. It is funny how that timer magically makes things ok when they happen, I guess our girl just likes to be mentally prepared for things. Then she runs and picks out jammies and a pull up, brushes her teeth, we check her teeth (read re-do) then we cuddle with a story or three. I am always looking for new bedtime books to put in our rotation and this one sounds perfect for my two. Our routine starts around 6:30 immediately following dinner. There is teeth brushing and a bath then pajama time (which is a very cute book, too). We play a little game to get “the wiggles out” then we all read 4-5 books. Sometimes daddy reads, sometimes me, sometimes one of the kids. Then daddy gives kisses and says good night. Both kids go to their bed as I turn out the light. I sing 6 songs and after going over the rules I give kisses and we say our good nights. We are usually done around 7:30. It’s a pretty strict routine and it took us a while to get where we are with it but I love it. Our bedtime routine is pretty simple. We change Lane’s diaper and get her into jammies. We read a Bible story from her baby Bible, and then we sing “Goodnight Sweetheart, Goodnight” to her. Turn on her fan, give her kisses, and that’s it! I hope to extend the bedtime routine when she’s older, but this is about all she can sit still for at almost-11 months. Oliver’s (4 yrs old) routine is pee, jammies, brush teeth, play drums with Daddy, choose 5 stories (of the 15-20 from the library) to read with Mommy, hugs and kisses, kissing hands and turn on special bedtime cd. little hoot is one of my FAVORITE books. love it love it love it. one thing that’s so wonderful about it, is that the illustrations fit the story so perfectly that Ellis can “read” the story on her own. have you checked out the Lemony Snicket series? I have (and LOVE) The Screaming Latke and The Lump of Coal. Both are awesome stories that teach about being unique. I wish we had a bedtime routine. Lily will be 2 in 1 week and we sort of try to go to bed at 8 but there’s no real thing happening. The only thing routiney is that I nurse her to sleep. It works for us for right now. I think these are the cutest books. We have Little Pea and my 22 month old loves it (though I think I love it more). Our bedtime routine is pretty simple. I believe in keeping things simple whenever simple is all it takes because my son makes a lot of other things very complicated :). It’s bathtime, read a few books with Daddy on the couch, say a prayer with the three of us, goodnight to Daddy and I take him to his room and we sit in the rocking chair and sing one short song, then into bed. Works like a charm for him. Our bedtime routine consists of reading some books, changing diaper and into jammies, cuddling, and cuddling with blankie in the crib. The bedtime routine is the one chance I get to read on my own, and my hubby happily reads books to the girls. For some reason he gets to read all the cool library books to the girls at night, and I’m stuck on repeat reads during the day. Good thing I don’t mind (too much) reading Corduroy a hundred times! Ohhhhh I got this book from the library awhile ago and LOVED it! Little Oink is great too. Our bedtime routine is jolly jumper, bath, milk, books and bed! I loved reading to my little girl. Our bedtime routine is simple. 15mins before bedtime we let her know its almost time for bed. At bedtime we change her diaper, and get into pjs. Daddy makes her her night sippy of water while I help her find her blankie and bear. All of us go into her room, daddy lays her down, I position all of her things, bottle, bear, blankie then its hugs and kisses from both of us and we say good night. My daughter’s bedtime is later than most kids her age because I don’t get home from work until 8 pm. She is starting to get tired when I get home so we play for a few minutes, then it’s time for bath. She loves playing in the bathtub! After that, we put her jammies and overnight diaper on and sit in her rocking chair. Then she nurses and we read books until she starts falling asleep. We give her her favorite bear and she falls asleep in her crib. Bedtime is the EXACT same every single night…hence the life of a baby who hates sleep. She eats a snack, runs around for a few minutes, then bath, pjs,then her daddy takes her to get “snuggled” in a blanket, then he brings her to me in the rocking chair and I nurse and rock her to sleep and then I place her gently in her crib. My son (also July 2009 baby) turns silly and very talkative after his bath and night-time milk bottle. We play a rhyming game in which he babbles a word (“dips”), then I respond in rhyme (“lips”), after which he giggles hysterically. I then sing “Hello Muddah, Hello Faddah,“ which used to reliably lull him to sleep until he started to learn the lyrics and delight in supplying the last word to each line. So I have added several lullabies to my repertoire: “Your Song,“ “Good Night, My Someone,“ and “Maybe” from Annie. Ideally he falls asleep at some point in this musical revue. Otherwise, my husband watches a Thomas the Tank Engine movie with him on the iPad…and I suppose he falls asleep at some point - I’m already deep in sleep. Our bedtime routine follows the 4 B’s! Bath, Blankie, Bottle (now sippy), and book. Once those four are finished, Willow knows it is time to go Nigh Night in her crib. I strongly agree that this routine helps her to relax. Daddy and I both kiss her goodnight together, and then she SLEEPS ALL NIGHT! In the morning, we race in to wake her up because it seems as though the first person to get to her crib is the person she is attached to all morning! I forgot the teeth brushing in there right before the song. Voted for you on both sites today, not sure if that counts. My two girls, ages 3 and 2, take a shower with me, brush their teeth, get in bed with their satin blankies my mom made for them, and receive massages until they fall asleep. I also wanted to recommend a book to you, since you love dinasours…Brontorina by James Howe, supper cute about a Dino wanting to be a ballerina..enjoy! Ours is a bit of a movie - like 10 minutes. Then potty. Bathtime. Towel off. Songs/silliness. Pjs. One book. Prayers. Tuck in! Besides what I posted on my previous entry, I make my 3 year old urinate before going to bed. Thanks for allowing additional entries by posting everyday. We like to give lots and lots of hugs and kisses at bedtime. This is my 2nd entry, so I’ll just leave it at that! Our bedtime routine is to brush teeth, change diaper, then read books or play quiet card games, then lay down together for a couple of stories (and often an extra, then an “extra extra” and sometimes an “extra, extra, extra, extra!“). Then talk, cajole, threaten, sing, lull, etc. until he falls asleep and I sneak away and collapse. I would love to win! We’ve bought several of your previous recommendations (Leo’s Tree, How Do I Love You, etc) and my son and I thoroughly enjoy them! This is my 3rd and final entry. I co-sleep with my two daughters and I love how they keep me warm in this cold winter. First, we go into one of the boys’ rooms and read a few books. Currently, we read one of the short stories from a book about Advent. Then, we read a different tradition from a book about Christmas Traditions around the world. We then stay in bed as a family until the boys fall asleep. The boys seem to like this, as they used to like to co-sleep with us when they were younger. They are now 4 and 7…sometimes, they still end up coming into our room at some point in the night…so it is a bit of a musical beds act, but it works for us. I love reciting the “Good night, sleep tight, don’t let the bedbugs bite, and if they bite, ....“ rhyme each night. Previous entry: I could have kissed the toilet, that's how excited I was.